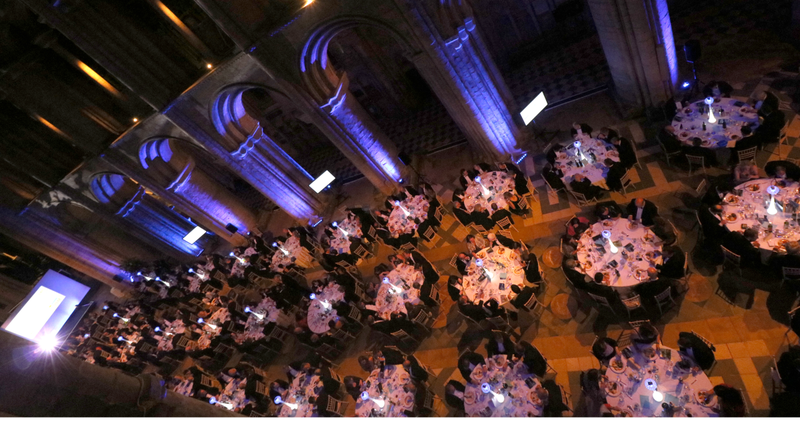 J Merrigan Production Services Limited partnered with Pro Event Hire to deliver the CBI East of England Annual Dinner at Ely Cathedral this September. Assisting CBI with the design and construction of multiple backdrops and branding walls around the venue as well as providing video, audio, lighting and staging solutions we delivered the event for regional business leaders in the stunning surroundings of Ely Cathedral. Following a couple of site visits with the client we suggested HD Video solutions along with custom print options and stylish ambient lighting to create and fresh and contemporary looking event. The provision of technical hire equipment included Sennheiser Radio Microphones, Martin Audio Speaker Cabinets, Chauvet Lighting Systems, a Barco Seamless Switcher and Christie Projectors.